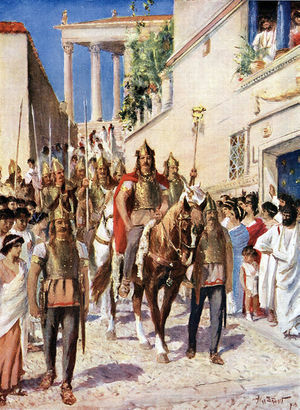 Few scholars would argue that it would by hyperbole to say that the Visigoth sack of Rome in AD 410 was one of the true turning points in world history. 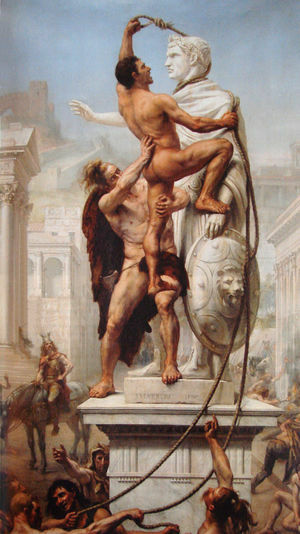 For Rome, it was the first time that the city had been sacked by outsiders in over 800 years, when the Gauls last did the destructive deed in 390 BC. The Romans recovered nicely from the 390 BC sacking, with the majority of their cultural, political, and military achievements coming after that date. In fact, one could argue that Rome was strong <i>because</i> of the 390 BC sacking, as it was forced to reevaluate its military capabilities and how far its northern boundaries should be extended. 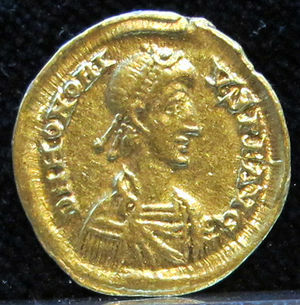 The sacking in AD 410 was much different, though, as it came at a time when Rome had been in decline for over two centuries. In many ways, the sacking was the death knell of the once great city-state, which limped along for a few more decades before the last emperor of the west was deposed in AD 476.